Sharing is as easy as giving a jar of HERBAL honey to a friend. Celebrate your curiosity by taking family trips to Botanical Gardens, HERB Shops, and Nurseries. Save your dried HERBS and combined them in Potpourri. 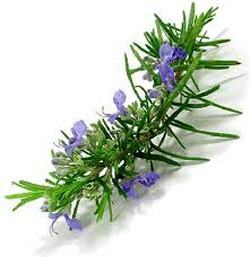 Form a community group to share HERBAL information. Explore the "HERBS Underfoot" by taking HERB hikes to identify what is growing in your own neighborhood. Make Herbal facial products and give each other Herbed Facials. You can make Herbal Face Masks, Creams, Lotions, Steams, and Toners. Make Kudzu Jelly, Rose Beads, and Soap, for HERBAL Christmas Gifts. Talk about Honey and Herbs for Bees. Use Olive Oil to make Herbed oils for salves. Make HERBED "Weed Wreaths" and use Herbs in paintings. Make Herbal Vinegars, Oils, and Tisanes. Have Herb Swaps. Plant an "Old Thymey HERB Garden" for your Community! Enjoy family and community Herbal Christmas parties- with great Herbed foods and Herbal gifts- like Stationery, Scent Jars and Ornaments. Form an Herb Club and exchange Herbs; discuss Herbs in your area: division, harvest, and preservation; and review favorite Herb Books. Bring your family and community together by cooking with Herbs. Share your favorite recipes. Combine ideas and produce an HERBAL Recipe Booklet. Learn about how you use HERBS for your pets. Teach your children about Herbs and Health. Learn about HERBS and Alternative Healing Practices like Aromatherapy, Color Therapy, Flower Essences, Homeopathy, Lymph Brushing, Spring Liver Flush, and use of the Neti Pot for Sinus Health. Build an HERBAL First Aide Kit. Keep an HERB Journal about your Garden, Table, and Explorations. Plant a ﻿﻿Community Medicine Garden ﻿﻿with family, friends, and neighbors! Save Nature's Gifts this summer to make Potpourri and Weed Wreaths for Fall and Winter!